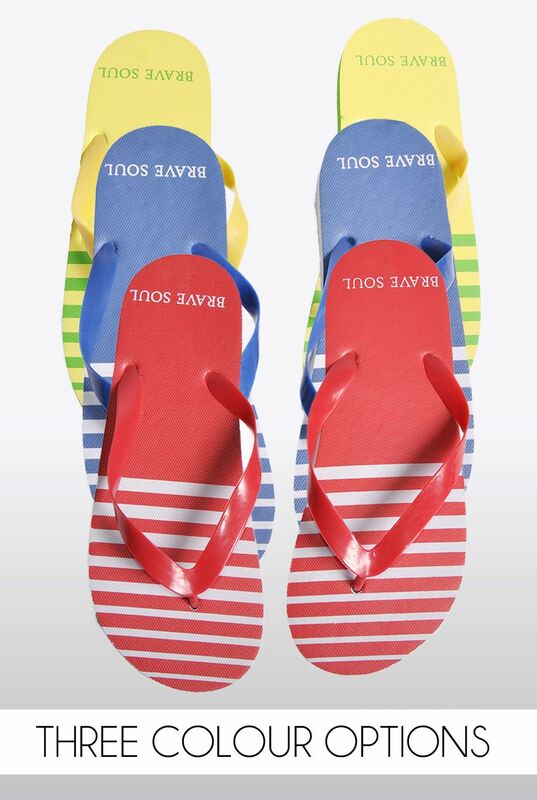 Get into the summer spirit and be holiday ready with these discounted mens flip flops! Available in three stylish colours, these flip flops are a comfortable and durable necessity for any mans shoe collection this upcoming summer. They feature a stylish nautical stripe and a hardwearing sole insuring that they are the perfect choice for those holidays you might have booked. Available in Red, Blue and Green. Sizes come in S (6-7) M (8-9) L (10-11).